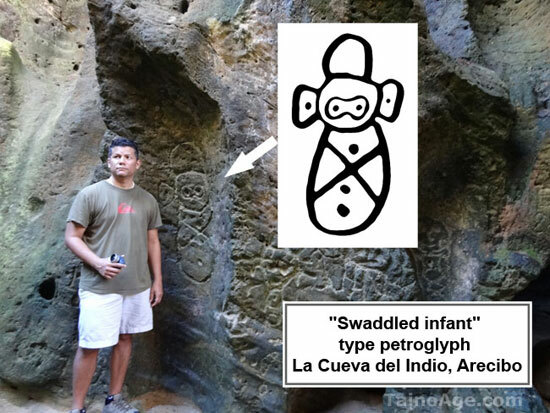 The photograph below depicts a rock-carving that some believe to be a “swaddled infant”. 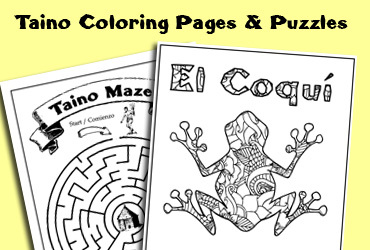 It is located at the foot entrance of La Cueva del Indio, in Arecibo Puerto Rico. A preliminary report on petroglyphs in Puerto Rico (1960 Frassetto, Monica Flaherty) suggested that petroglyphs depicting wrapped bodies are those of infants. It is interesting to note that Tainos slept in hammocks; and when they died it was customary to wrap the deceased person in their respective hammock. The drawing above shows different body types of the so called “swaddled/wrapped” theory. One thing we can certainly say is that these ancient symbols are deeply rooted in a sense of sacredness, the unknowable mysteries of creation and the ever changing patterns of natural energies.